Every time someone volunteers to tell me a secret, swearing me to secrecy, I pause long enough for them to realize their folly, before fessing up to say that I don’t really keep secrets, not even my own. And if it’s so secret, and you can’t keep it in, then why are you telling me? Do you imagine that I’m stronger than you are? My forte is sharing. If you have some news you want to spread, I’m here for you. Pecan Cranberry Squash is about colour and flavour. 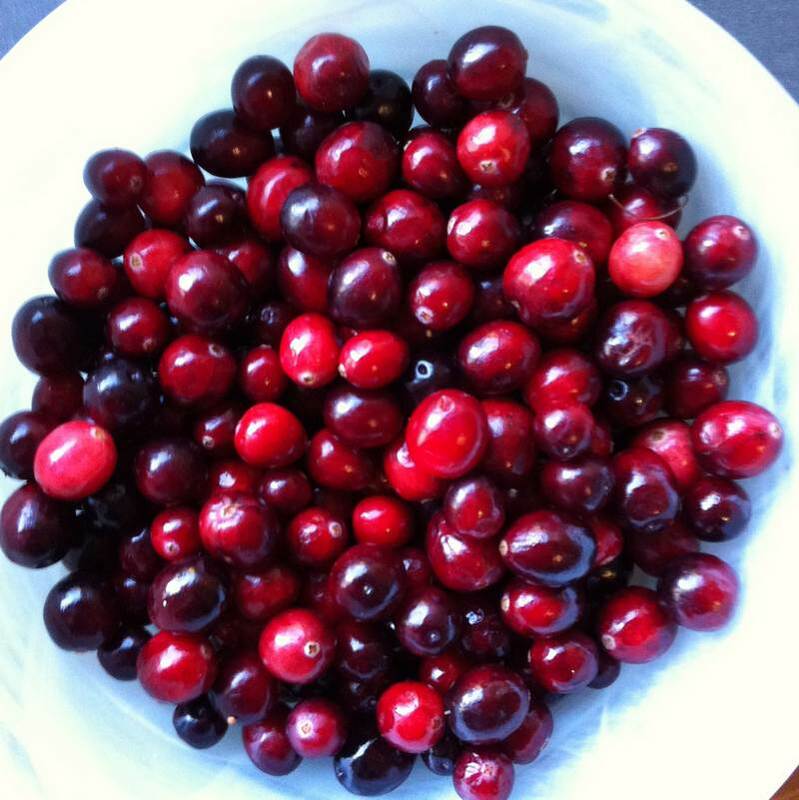 Do you think about the colour of your food? The brilliant orange of winter squash contrasts sharply with the deep, deep crimson of cranberries. It is recommended that we eat a rainbow of food colours for good health. 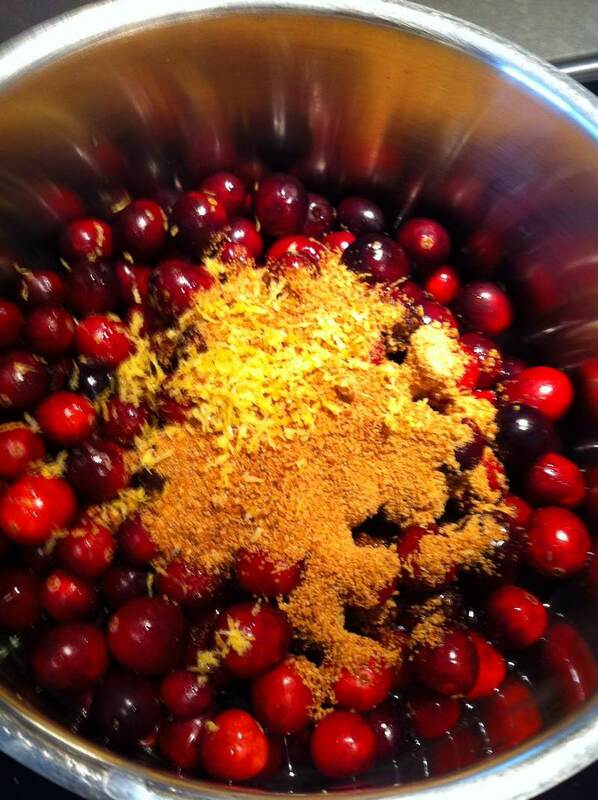 Bring cranberry sauce ingredients to a boil in a medium sized pot, then simmer for about 10 minutes until soft. Cool the sauce in a bowl. So tasty, you can eat it spooned over yogourt. 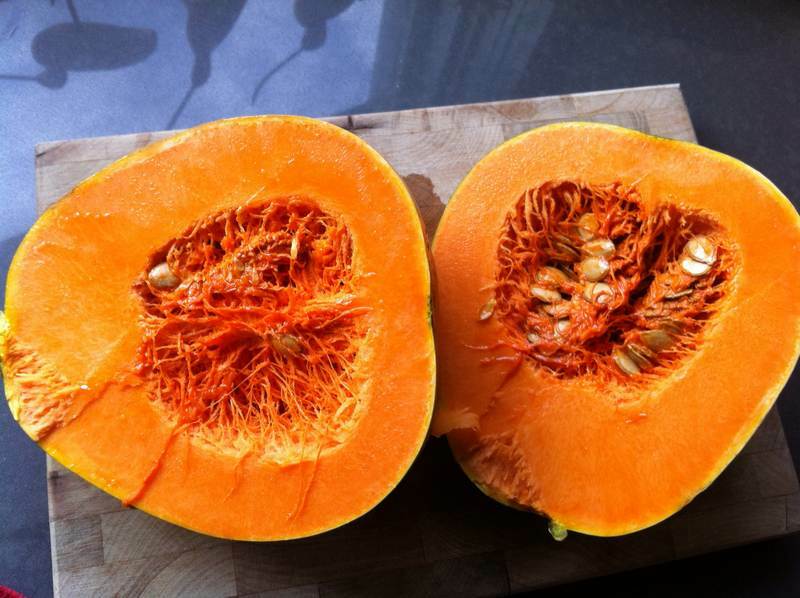 Wash the squash then slice it in half lengthwise, scooping out the seeds and preserving them. Bake cut side down, for 50 minutes until soft in a 400F oven. Mash the cooked squash, then mix in 1 tablespoon of the butter, along with the salt, pepper, cinnamon, allspice and nutmeg. Cover the squash with the cranberry sauce in a casserole. Bake at 350 degrees for 50-60 minutes or until beautifully browned and piping hot. Mix the remaining tablespoon of butter with the tablespoon of sugar and the pecans. Roast the nuts in the oven at 200F, mixing every few minutes to make sure they don’t burn. 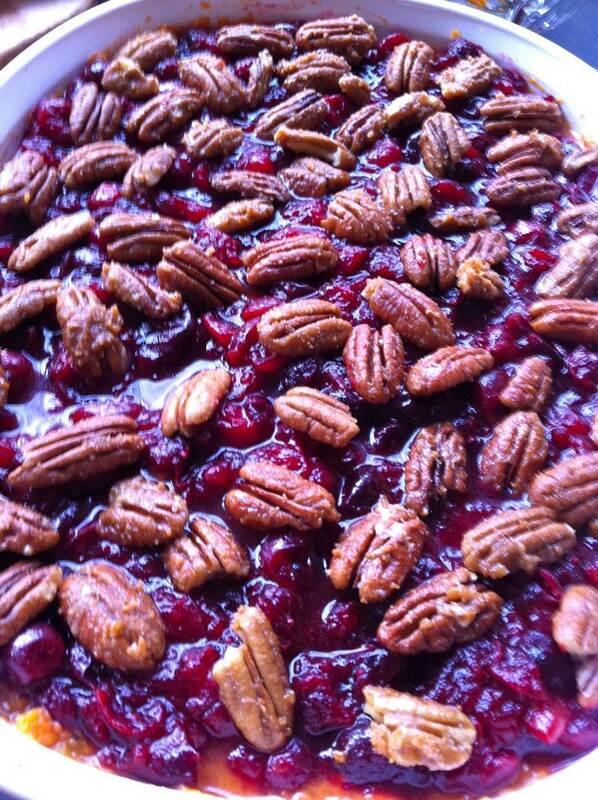 Then spread the roasted pecans over the top of the cranberry squash. 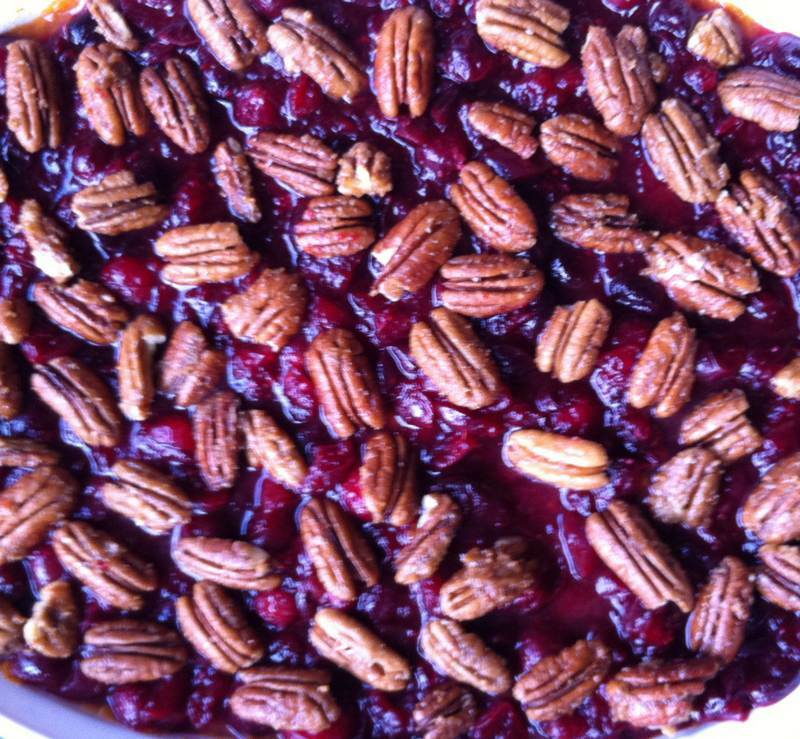 If not using the whole casserole at once, then only sprinkle the pecans on individual portions to keep them crisp. Note: Bake the preserved seeds, unwashed, in a 200F oven, stirring occasionally until dry. Sprinkle with sea salt and enjoy. There are many historical details concerning the Thanksgiving celebrations in North America. But this recipe tells the appetizing part of the story. So, if you are like me, promise me you won’t tell anyone about Jittery Cook. « Microgreens and Shrimp? Salmon? Sardines? – You decide! Looks yummy, just not clear about the squash. Do you bake it first? If so, how? What do you save the seeds for? About the seeds; I’ll add that info too. They are delicious baked in a slow oven and sprinkled with a little sea salt. You do have an eagle eye! Oops! I fixed it. Bake in a 400 degree oven for about 50 minutes, cut side down, until soft. Your photos are gorgeous. Will definitely make these recipes to impress my guests!